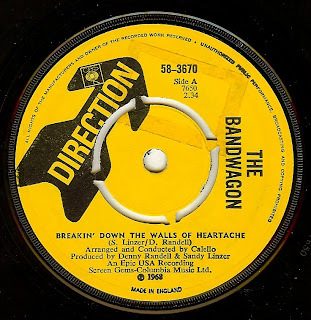 This record just might be the last gap of the mid-60's mod sound (before the revival) and was cut in England by this Belgian group (looks like the pic sleeve photo was taken in downtown Brussells). 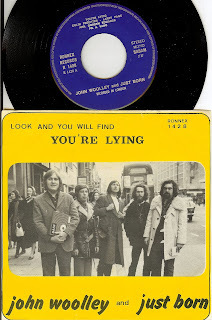 This song was originally recorded by The Troggs in 1967, but this version ups the intensity, tempo punky attitude and in turn, in my opinion, leaves the Troggs version at the side of the curb. This record teams up the great Baltimore, MD singer Kenny Hamber with the extraordinary producer Bert Berns and adds the incredible Sweet Inspirations into the mix with some lovely backing vocals. Most definitely the right ingredients for an excellent record. 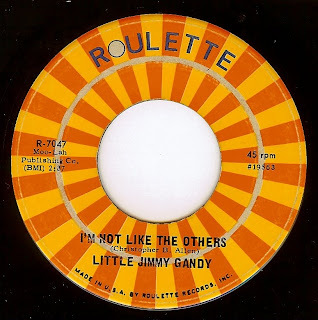 Wish I knew more about this (seemingly) sole release from JImmy Gandy. In fact, I wish I knew ANYTHING about it! The record sounds like it could easily have been cut in Chicago, but the lack of production credits make this a rather mysterious piece in the late 60's "kid soul" puzzle. I could go on and on about the propulsive drumming and the absolutely gorgeous group harmony vocals of this record, but my adjectives cannot describe the glory in a way that simply listening to the track can achieve. This New York group group found their greatest commercial success after changing their name to the Main Ingredient in 1968. Formed by leader Frankie (Frances) Gearing (a Floridian transported to New York along with producer Bob Yorey), where Mildred Vaney and Delores Brown were recruited to be in the group. 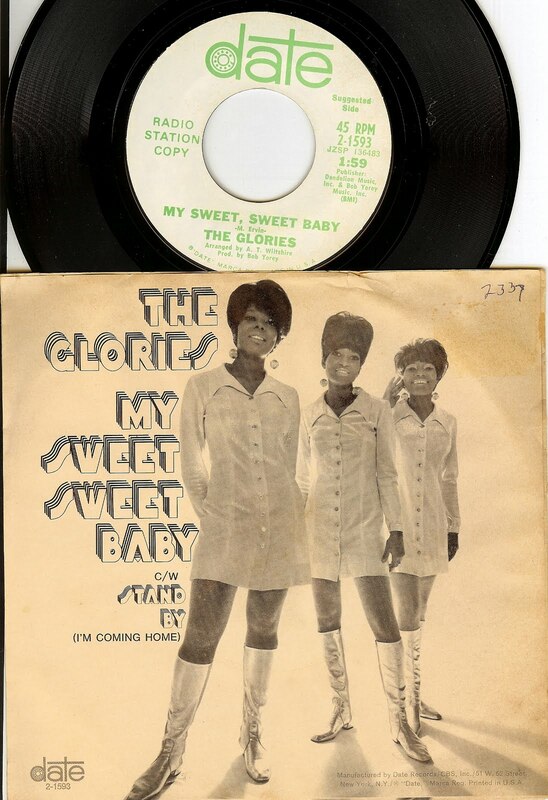 The Glories found their first release ("I Stand Accused", bound to be a 45 of the day at some point in the future) also to be their most successful. 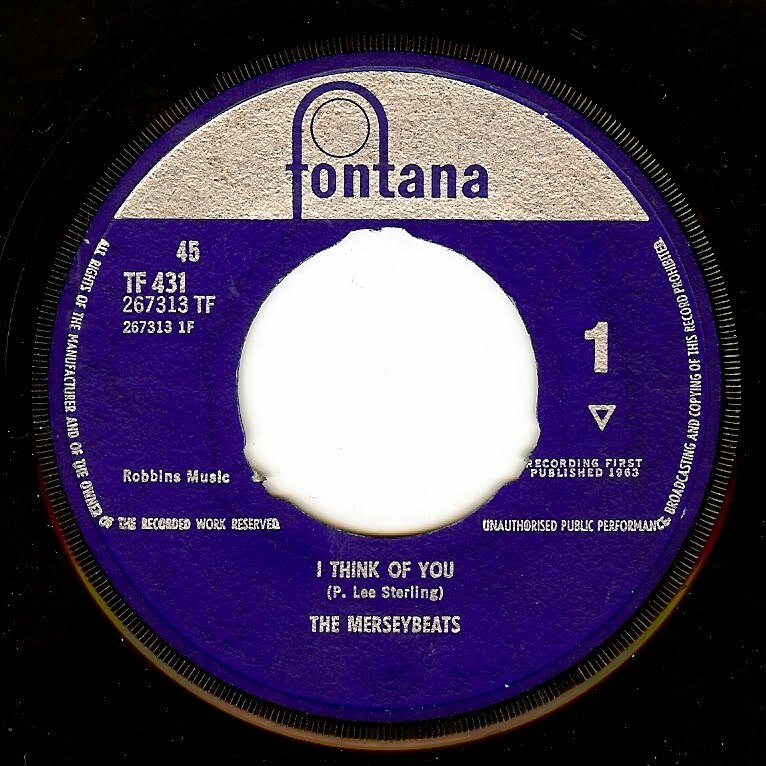 Further releasesdid not chart, although this fantastic number certainly SHOULD have. 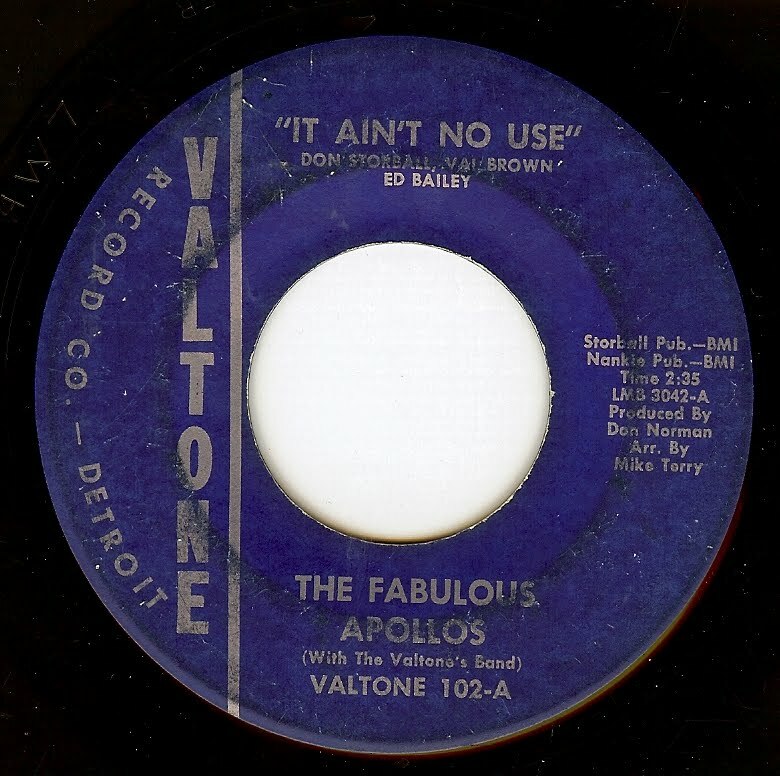 The Glories eventually were discovered by Memphis master Willie Mitchell; Dolores Brown left the group (and was replaced by Lois reeves) and the group became Hi Records hitmakers Quiet Elegance, once again featuring Frankie's excellent vocals. 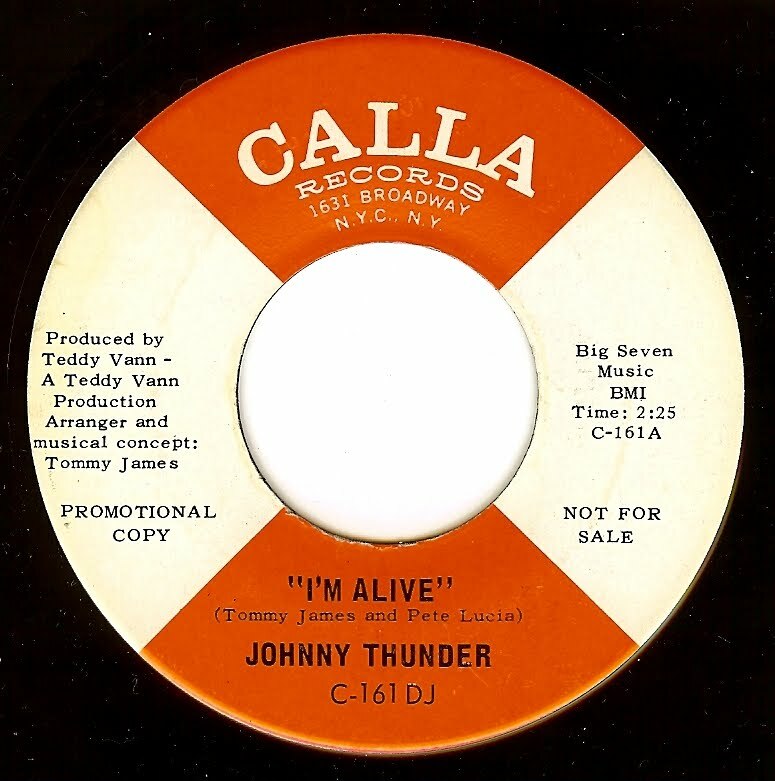 I'm not sure what era, but Johnny Thunder (not to be confused with the NYC punk rocker "Thunders") was a member of both the Drifters and the Ink Spots, and struck out on his own for the big hit "Loop De Loop" by 1963. Knowing THAT side of the story, it makes this record all the more fascinating! Both sides are fuzzed out mod masterpieces, and while most of the attention gets directed to "I'm Alive", the flip side is just as good as well as being funkier and OUT THERE. What a great record. It's also truly cool to see that Johnny is still out performing the cruise ship/ doo wop oldies circuit. 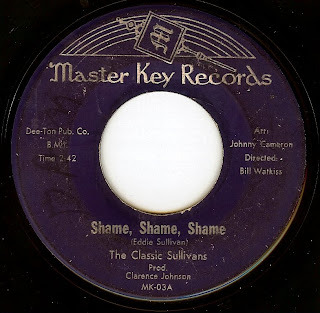 The Classic Sullivans were a sibling group (Lorraine, Barbara and Eddie Sullivan) produced by Chi-Lite member Marshall Thompson (probably inspired by fellow Chi-Lite Eugene Record's incredible work as producer, writer and arranger for so many amazing records). The group shows off some truly gorgeous family harmonies on this record that went unjustly overlooked. While the song isn't a life changer or a massive flash of inspiration, it's one of those tunes/ performances that will just wash you over with good feelings. File under: "All Time Greatest Debuts!" 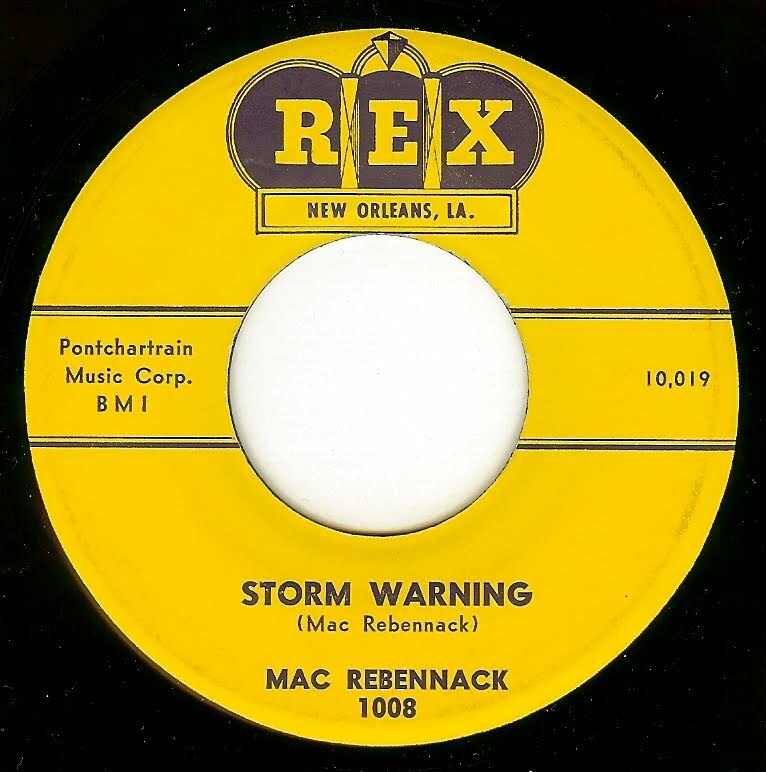 Mac later became known as Dr John, and is of course a staple of the incredibly fertile New Orleans music scene. Before he lost a finger in some sort of fight, Mac's main instrument was guitar; his wild, overdriven tremelo-laden guitar is the driving force of this record, and it hits HARD. I can't imagine what it must have been like to hear this record upon its release. It STILL sounds outrageous and radical. A gorgeous song for a lovely Sunday morning. Hailing from, yes, Liverpool England, the Merseybeats played the same circuit that launched the likes of The Beatles and Gerry & The Pacemakers, although, sadly and unjustly, the Merseybeats never hit big in the US (although this number was a smashing success in the UK, and the group also had their own TV show in Italy). The group later morphed into, simply, the Merseys. This record is a great example of a song that on its own is merely average, but coupled with Jackie's incredible vocals and some super-human drumming becomes transcendent. 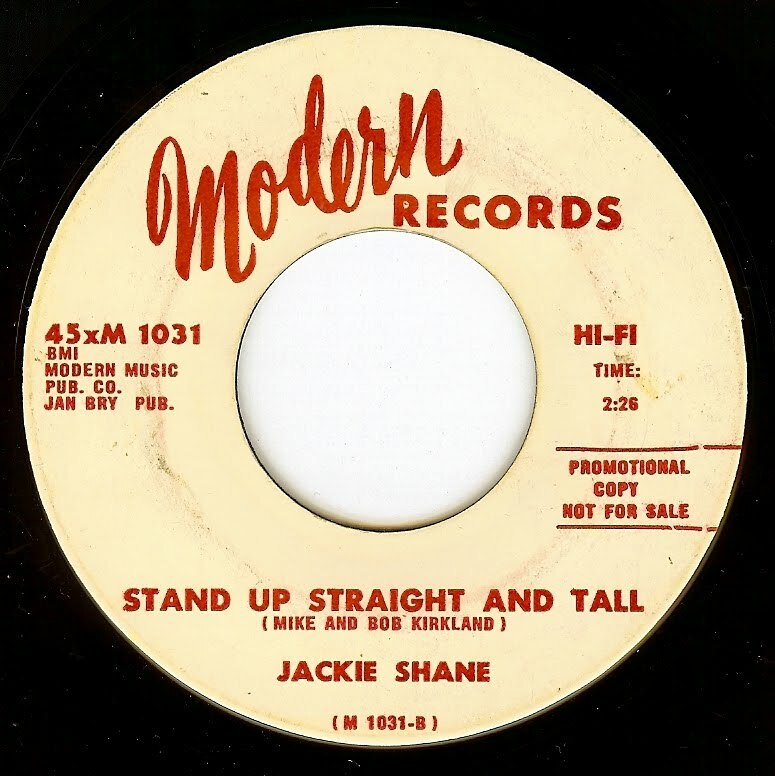 This is Jackie Moore's debut record, and she had recently moved from her home of Jacksonville, FL to Philadelphia, PA to begin her recording career. 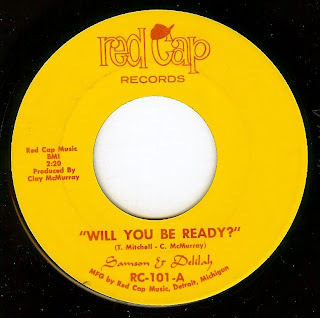 Distinctly more southern than the softer Philadelphia sound, Jackie cut this and another 45 before returning home to Florida (where she cut her biggest hit, 'Precious, Precious" in 1970.) 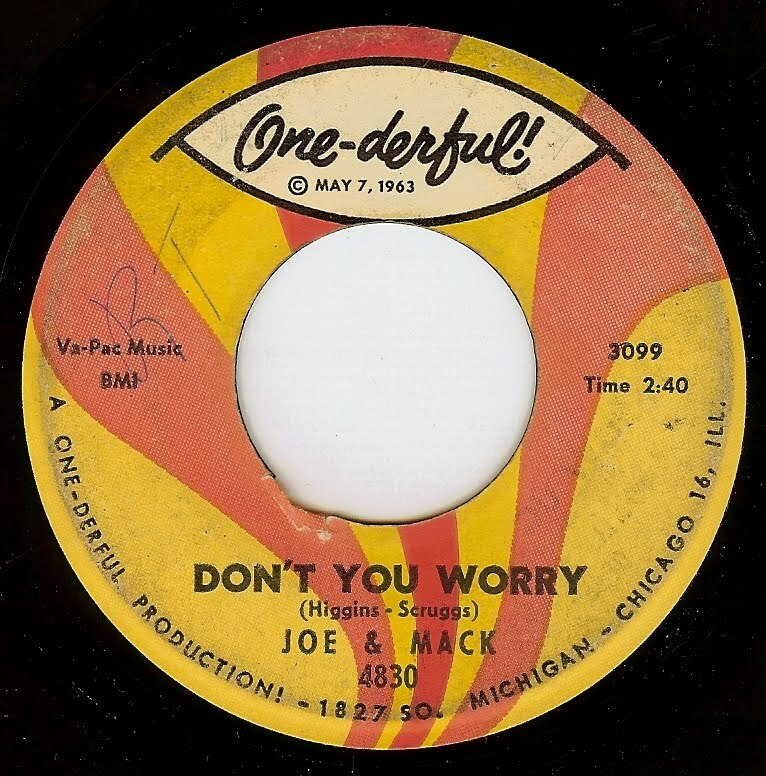 Jackie later joined the disco train and cut a handful of records that are cherished in the disco genre. 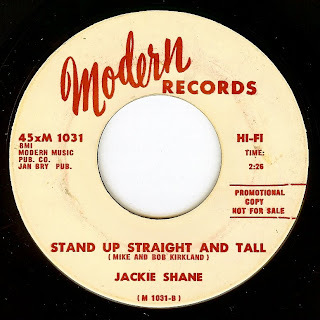 Before disappearing for many years, cross dressing soul wild man Jackie Shane cut this incredible record that is one of the most incredible final singles I've ever heard. Given the times, one can only imagine the statement that openly gay Jackie was making in this song and I SALUTE him with the utmost respect in his reading of this (should be) anthem of the oppressed. Making this record even more incredible, the writers are brothers Mike (James) and Bob Kirkland. Mike went on to release one of the greatest soul LP's of the 70's ("Hang On In There"). 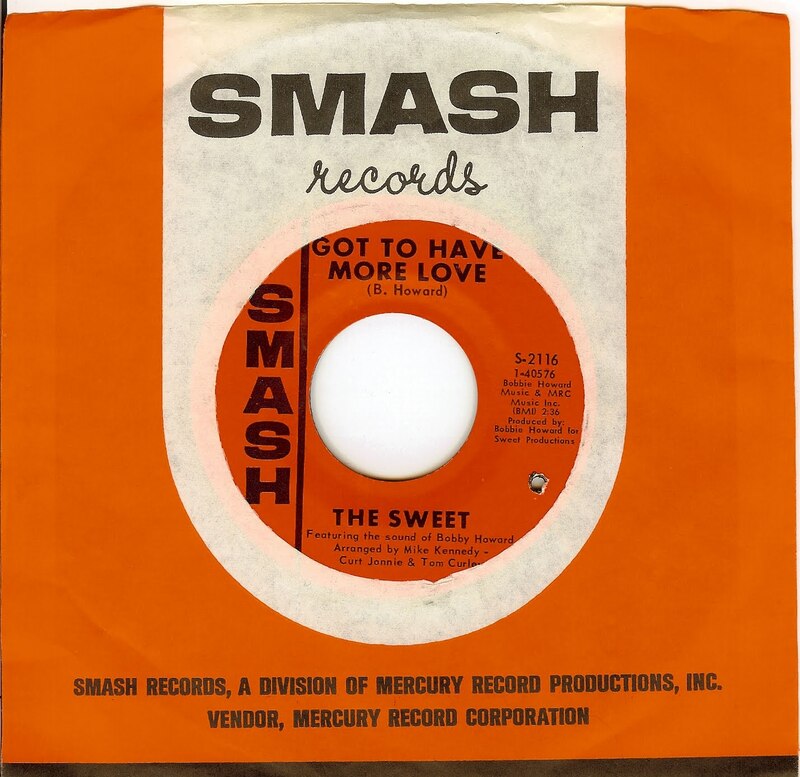 One of the greatest EVER Los Angeles soul records, bar none. Play it loud, and play it often. I find it fascinating on a number of levels that this is the debut secular recording from Otis Clay; after spending a number of years singing in gospel groups, Otis, at 23, had already been recording for nearly 8 years! 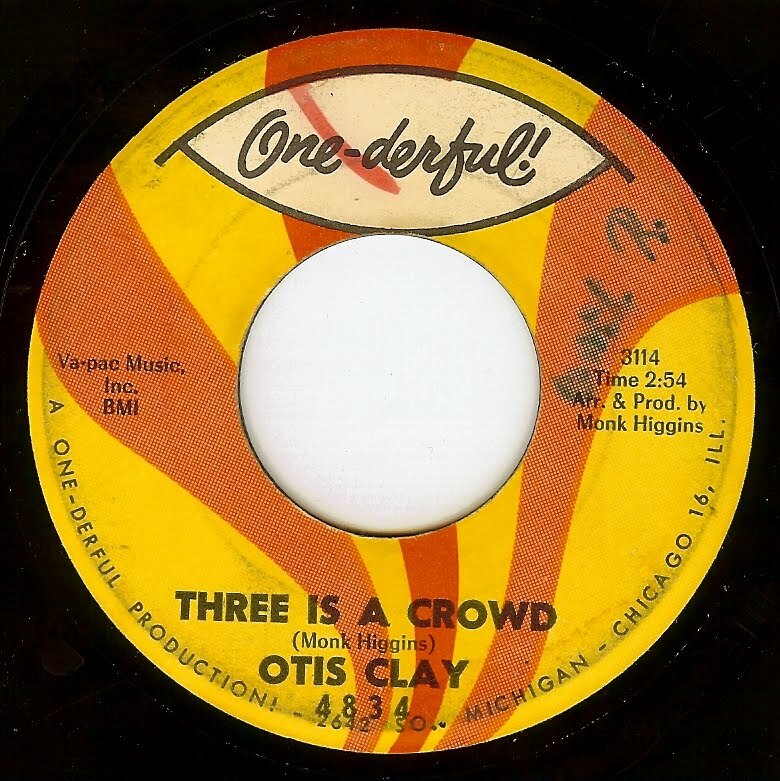 Otis cut a secular session in 1962 that went unissued. I also find it fascinating how incredibly RAW this record is; it sounds like it was cut in a garage with one microphone and Otis shouting on top of it all- and if you're a fan of this blog, I assume you'll be with me and agree that that is a very good thing indeed. 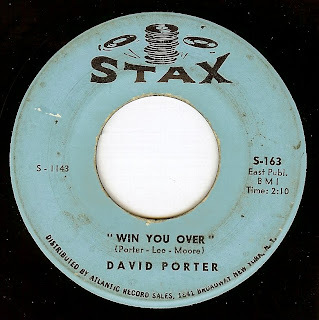 As co-writer (paired up with Isaac Hayes) of some of the greatest song in the Stax catalog, David porter also struck out on his own as a performing artist and cut some excellent sides. This record was a one-off for Porter in the 60's until he began recording again himself in 1970. 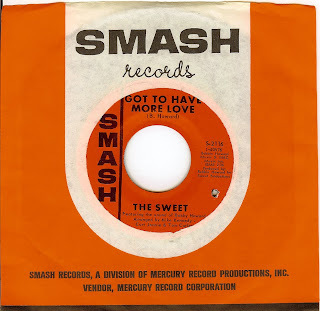 In the meantime, him and Hayes penned songs such as 'B-A-B-Y" for Carla Thomas, "Candy" for the Astors and the immortal "Soul Man" just to name a few. This catchy song (with an INCREDIBLE guitar break from Steve Cropper) shows Porter to have a FINE, unique voice on an underappreciated Stax side. 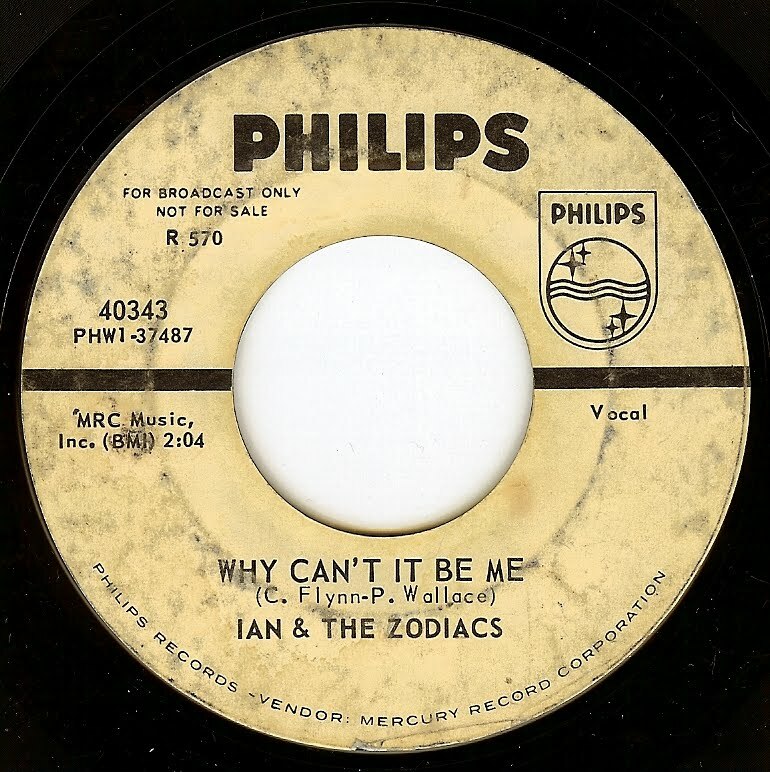 IAN & THE ZODIACS - WHY CAN'T IT BE ME? 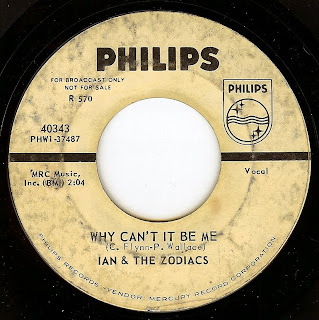 Hailing from Liverpool, Ian & The Zodiacs are considered (unfortunately and for no good reason) to be one of the least successful bands of the British Invasion. The group found the most success in Germany, where they were big stars, but they languished relatively unknown in their homeland and abroad (although one fluke single charted regionally in Texas!). The group formed in 1958, and lasted until '67 which makes their lack of success even more puzzling. As this record shows, the group definitely had some hit-making potential. Perhaps it was a mis-step by their record label to promote the other side of this release as the a-side? whatever the reasons, this twangy-guitar driven beat masterpiece SHOULD have been a hit. 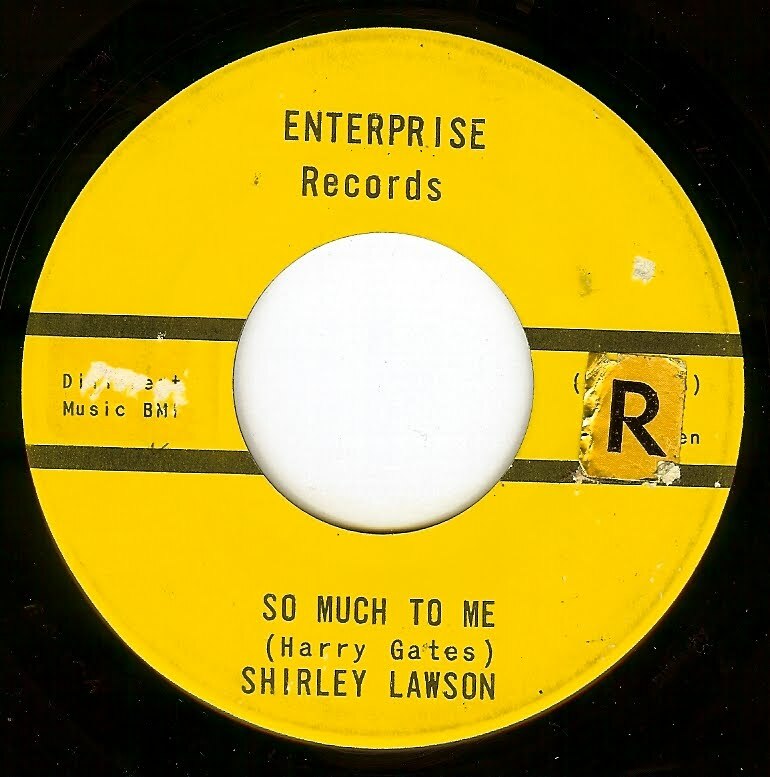 Shortly before her group (The Fascinations) were signed in 1966 by Curtis Mayfield to his Mayfield record label, Fascinations member Shirley Walker cut two incredible 45's as Shirley Lawson. I featured the other one a while back, so I'm very happy to be able to present the other today, as it's SO SO SO good. I wish that I knew more about the record, especially who produced and arranged it! Just like yesterday's entry, this record was released on one of those mysterious labels with practically no information. 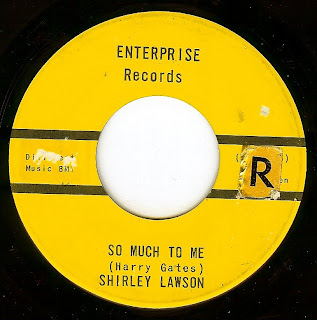 I'm quite sure that this "Enterprise" label is different than the Stax offshoot that appeared c1969. Not quite sure what the storyis behind this record; it was released on a mysterious looking label the year that Tyrone Davis began to break out nationally on Dakar records. Most likely this was an earlier session for a label/ producer that wanted to cash in on Davis' new found fame, I reckon. Whatever the story, the song and performance are so beautifully soulful, yet so under appreciated. 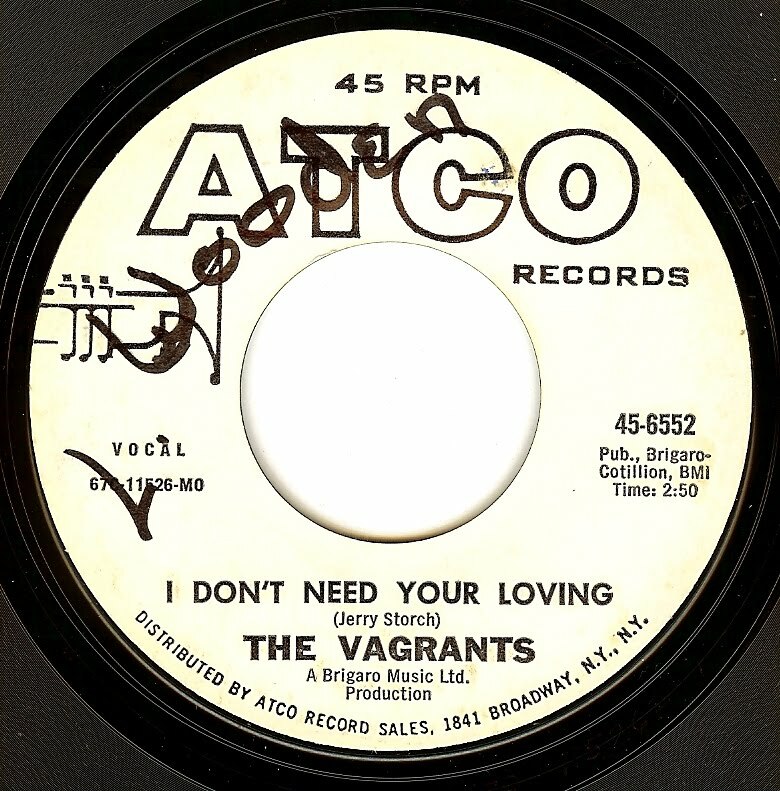 Allegedly, the Chicago group THE CREATIONS travelled to Detroit to cut this record, and three of the singers (Charles Boyd, Eugene Amos and Michael Wiggins woke up in the morning with no voices due to having colds! 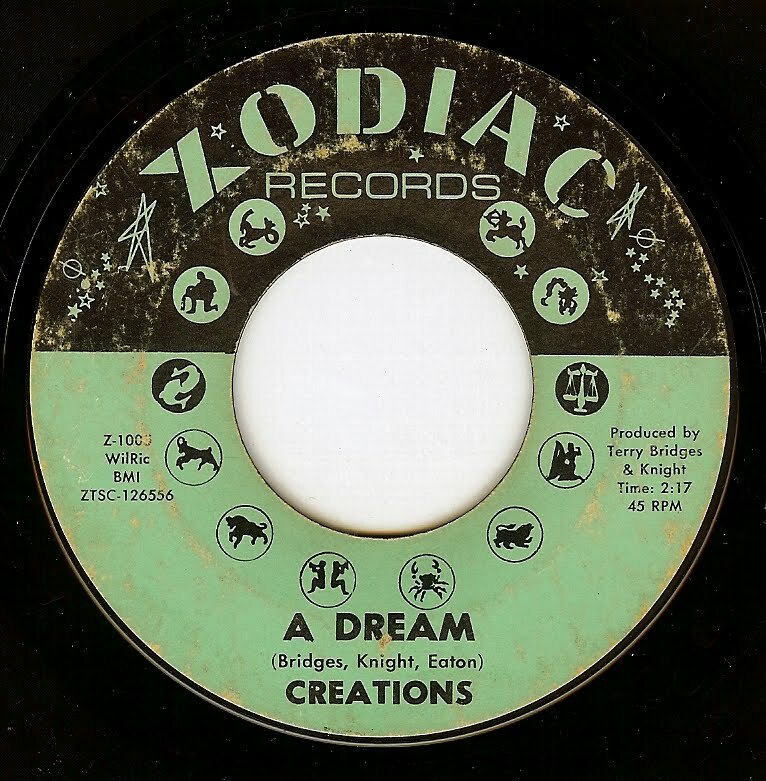 Only Gerald Dickerson appears on the record, and the other voices heard are those of the Detroit group BROTHERS OF SOUL (Fred Bridges, Richard Knight & Robert Eaton), whose members also wrote the song! Chicago plus Detroit is the musical equivalent of steak and lobster; it's just PERFECT. While the downright nocturnal 'A Dream" gets most of the attention, the flip side, "Footsteps" is a superb uptempo track. BEST OF DAILY 45: now on Youtube! As time permits, I will be uploading some past favorites on my youtube channel. Here's the first batch! 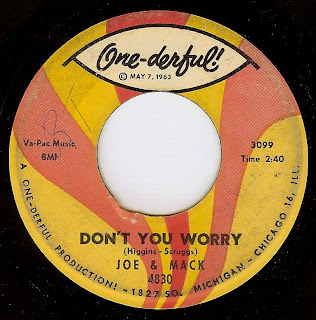 Seemingly, this is the only record by the mysterious Joe & Mack. Perhaps this record was cut by other artists in the One-derful record family as a way to latch on to the burgeoning duo craze?I can't say that I know anything about it, other than the great Monk Higgins is co-writer. This Detroit group released a mere three singles, and all were top notch quality. Don't know a whole lot about the group (do you?). The one glaringly obvious name on the label is that of Mike Terry; a man whose presence almost always guarantees a great record. 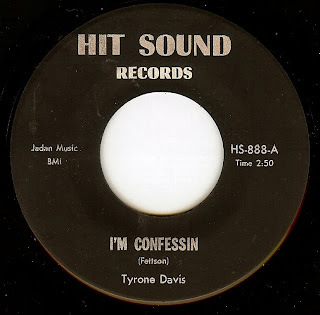 What I CAN say is that it never ceases to amaze me that I've posted over a thousand records on this blog, mostly of the non-chart-hit variety, yet the well runs so deep that it's still possible to keep posting gems like this nearly every day. The Sweet (not to be confused with the '70's UK band of the same name) rose out of the ashes of Washington DC based band The British Walkers. No, The British Walkers they weren't English but they were influenced by all the right stuff, namely, British rock n roll and American grown soul. Lead singer Bobby Howard has one of those fantastic blue eyed soul voices which he put to use on this STOMPING side. John (Maus) Walker, rest in peace. Sad to wake up this morning and see that he passed away after a struggle with liver cancer. While they weren't blood brothers, the three Americans who made up the Walker Brothers took the UK (and Europe) by storm with their version of British beat. 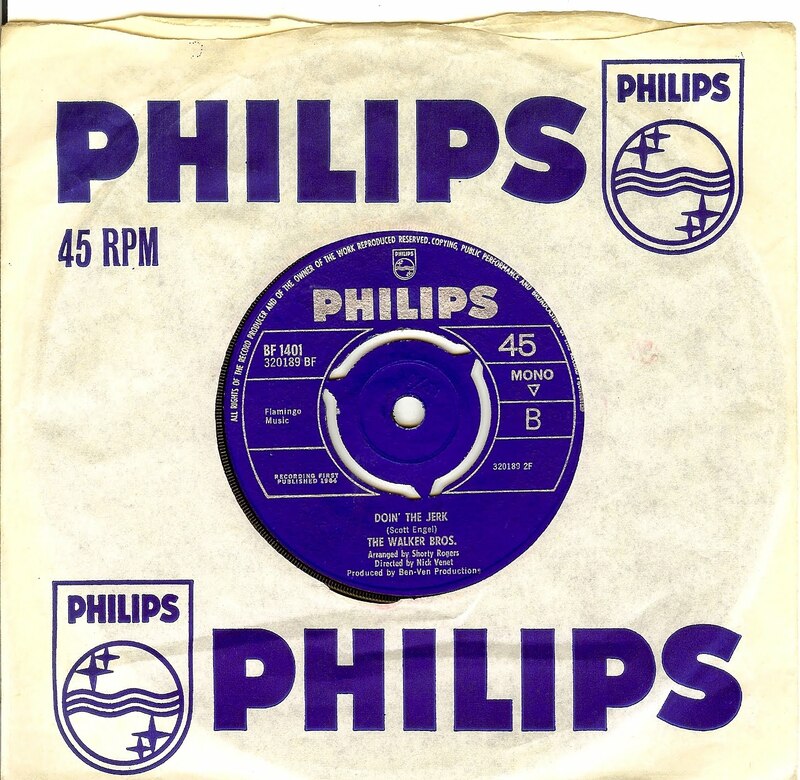 The chaps made some damn fine pop singles of the finest quality before breaking up in 1968 (although the group had also reunited in the mid 70's). This was the b-side of the Walker Brothers first UK release, and one of my absolute favorite sides from the group. The Walker's show off their impressive harmonies and John lays out some fantastic twangy guitar breaks on this number that, when closing one's eyes, is guaranteed to conjure images of go-go girls and boys in striped shirts. BIG RESPECT to all the moms of the world, HAPPY MOTHER'S DAY to you. 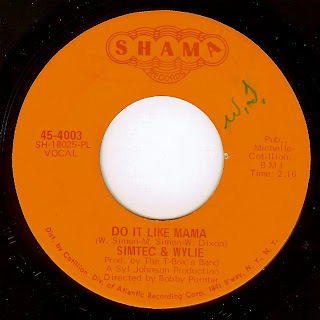 Simtec & Wylie were a fantastic Chicago soul duo, and perhaps if this record wasn't so raw, it may have been a big national hit (as it's pretty damn catchy). With Syl Johnson behind the mixing boards, it's no surprise that a side this ultra soulful and funky got put to wax (thanks Syl). This Long Island band seems to be known most prominently as Mountain-man Leslie West's first group of note (that's him crunching out the raunchy guitar licks), although they were a whole lot more than that. Taking a cue from the Young Rascals, The Vagrants infused a healthy dose of soul into their raucous rock n roll (their great cover of "Respect" is on the first Nuggets collection). This, their final single, shows them at their peak; driving organ, a stomping beat and a great tune add to to 2:50 of pure sonic nirvana. 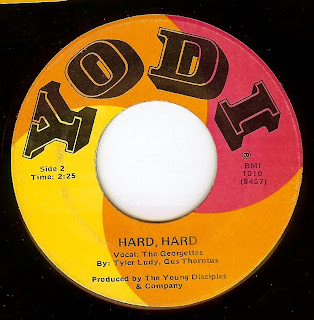 THE GEORGETTES - HARD, HARD b/w WOULD YOU RATHER? What a fantastic double sider: uptempo, gently pounding on one side and dreamily beautiful on the other. Yodi records was founded by Alan Merry, an East St Louis, IL man who worked with legends such as Ray Charles and Ike Turner. In the late 60's, he founded an organization (The Young Disciples) that offered an alternative to the growing gang problems in his city; namely, he got these young people involved in music and off of the streets. A very beautiful thing indeed. Alan Merry is a true American hero; one who used his talent and love of music to save talented kids from the abyss. Luckily, most of the music is collected on Numero Group's excellent "The Young Disciples" collection. SAMSON & DELILAH - WILL YOU BE READY? 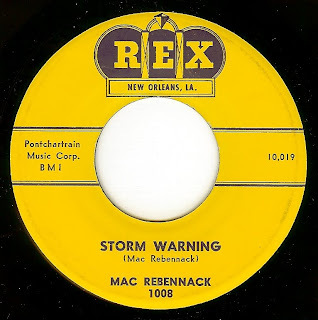 I know very little about this record; what I do know is that it was recorded at the legendary Tera Shirma studios in Detroit, and was picked up for national release by ABC records. 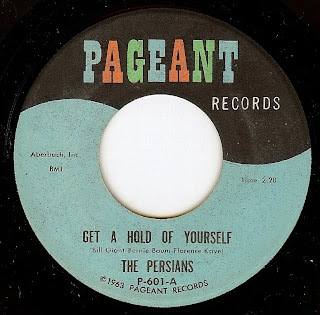 In addition to the great vocals by the unknown Samson & Delilah, I love the arrangement with killer organ, baritone sax and fuzz guitar all popping along throughout the song, and an unexpected and fantastic quick bass guitar break. I'd sure love to know more about this record if anyone knows. Hailing from the north of England (Warrington, near Manchester), the Fairytale released this record and only one other. However, this side is one of those cuts where the stars line up for absolute magic. 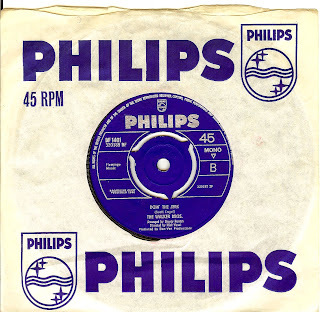 Allegedly, Don Arden (UK music bigwig who managed the early career of the Small Faces and others), asked the group if they had any songs with psychedelic imagery, and this song (allegedly about a bad acid trip) was what they presented. 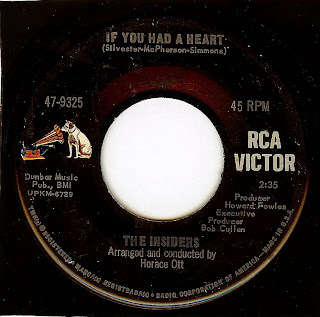 Arden may have practiced questionable business tactics, but the man certainly knew a great song and with his help this was the debut release from the group. 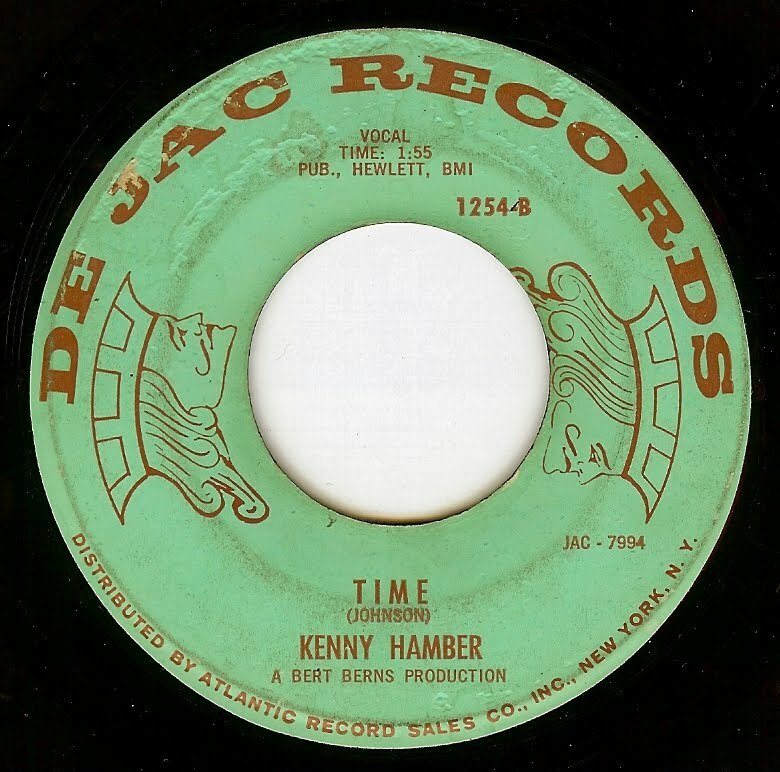 The Fairytale continued to tour relentlessly throughout the year and also released one more single, but the group was finished by 1968. 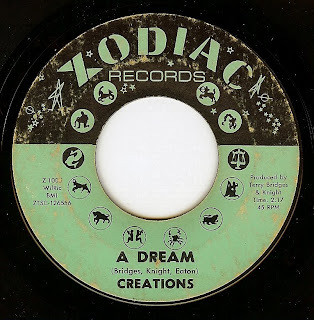 "Guess I Was Dreaming" is one of those tracks from the early psychedelic days that distills the strong r&b influence into music that was somehow able to be wispy, propelling, danceable and mind blowing all at the same time; and with few exceptions, it all happened within 1966-1967. 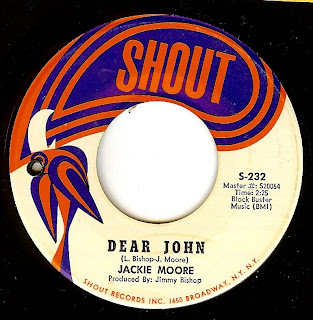 Hearkening back to a sound similar to Motown 1965, it's no surprise that this US group hit BIG in England with this, the debut single from this Rochester, NY group featuring lead singer Johnnie Johnson. While I whole heartedly throw myself into this entire record, it's the false ending that really snags me. The song has been a UK club staple since its release, and has also seen a number of cover versions. A very mysterious record which appears to be a one-off. 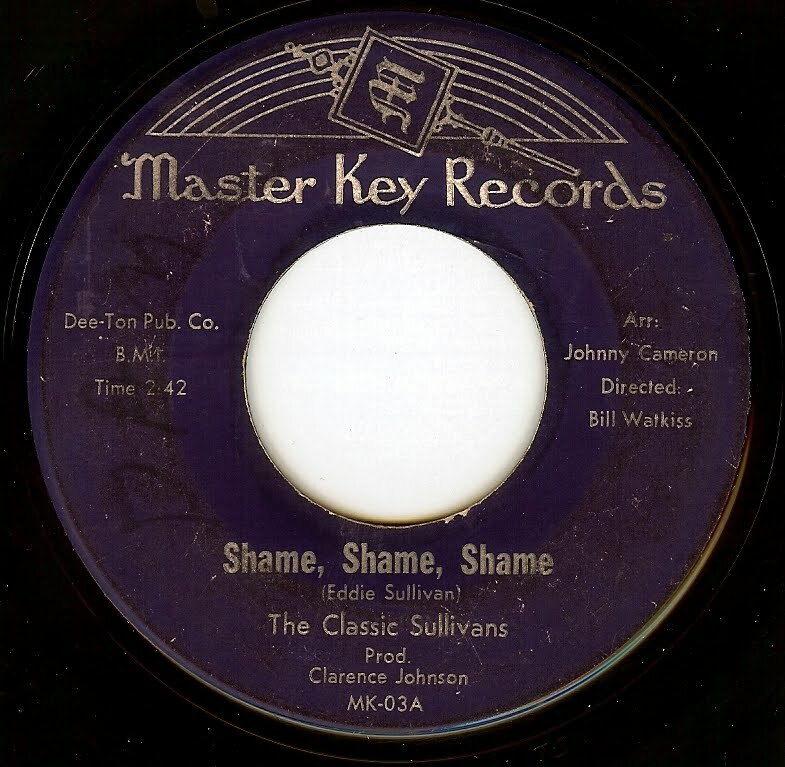 Two of the writers (Bill Giant and Bernie Baum) also produced the record, and they are best known as the writers of Elvis' "(You're The) Devil In Disguise". Being as the record was released on a Cameo-Parkway label offshoot, odds are it was recorded in New York. Other than a later 60's male group called the Persians, I find no info about THESE Persians. I also question the date. 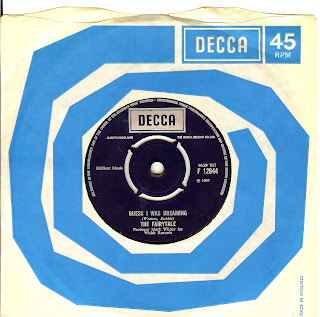 Cameo-Parkway (just like Motown) more often than not had the wrong date on the label, although the notes to a label retrospective list 1963. As for the record, it's a beautiful girl group sound with an ethereal lilt.